We’re always looking for ways to shock our bodies into growing. It’s only when we find new ways to challenge our physiques – with new rep ranges, movements, or other variances – that growth occurs. Well, this body part split may be just what you’re looking for. You start with a week of super-intense training, then scale back for a week. Check it out! Day 1 – Train chest in the morning. Eat lunch, take a nap and have a snack. Then train triceps in the afternoon. Day 2 – Train back in the morning. Eat lunch, take a nap and have a snack. Then train biceps in the afternoon. Day 4 – Train shoulders in the morning. Eat lunch, take a nap and have a snack. Then train traps in the afternoon. Day 5 – Train quads in the morning. Eat lunch, take a nap and have a snack. Then train hamstrings and calves in the afternoon. Once you compete day 14, return to day one. 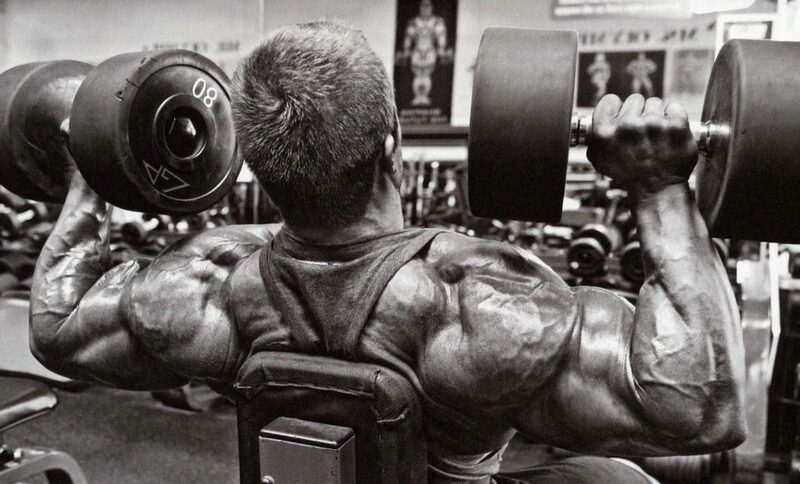 Essentially, you’re training ten times the first week, and 5 times the next. This is very confusing to your central nervous system, and will keep you growing. If you’re a bodybuilder using anabolic steroids, then these routines will work fine for you. If you’re a natural, you’ll want to ensure you are adding additional sleep and calories to the week when you’re training twice per day. If you want to present a very unique challenge to your body, mix it up even more, and train in this fashion. You’ll be completing two short, and two long, workouts each week, mixing them every other week! Day 9 – Train back in the morning. Eat lunch, take a nap and have a snack. Then train biceps in the afternoon. Day 11 – Train shoulders in the morning. Eat lunch, take a nap and have a snack. Then train traps in the afternoon. This entry was posted in Training and tagged Biceps Training, Chest Training, Hamstrings Training, Split Training. Bookmark the permalink.